Scrolling through social media and coming across video content that grabs your attention. If I ask how many times you’ve experienced that, your answer would probably be ‘always’. Video content is scattered all over social media. Be it viral or informative content, it somehow is present in a video format digitally. You know what it means? The amount of attention that video content receives is overwhelming and huge. More audience means promotion through videos and it will definitely put you in the poplar lane. Videos on social media capture views and users more than any other type of content present online. Creating quality content and sharing it digitally will definitely turn out to be an attention magnet. The best Video Production Company in India makes sure that the kind of content and the quality that it carries is original and interesting. In order to create successful video content, a video production company completes these 3 stages. Pre-production, production, and post-production. This completes the process of video production. Pre-production is the first step that begins with planning for the video to be produced and gathering all the creative ideas in order to grab the attention of the target audience. This includes scriptwriting, preparing the logistics and other administrative work as it helps in better execution of the ideas in the next step. Production is actually filming the video based on the pre-production process and getting all the ideas into action. Pre-production ensures that the important aspects required for filming are covered in the production process. In the final stage i.e. post-production the video is edited and a finished product is prepared in order to capture the attention of the viewers digitally. The most appealing and attention-grabbing advertising began with television commercials. These ads are a combination of the visual creativity that comes from print ads, the catchy content as that of a radio ad. If your audience is able to relate to your TV ads or the ad has the potential to make them laugh or cry, your job is done. This churning of emotions actually helps in creating a brand recall among the consumers. The visual appeal that television ads carry have the potential to establish a strong understanding among the target customers. Television plays an important role in targeting the consumers at the right time. The television ads are segregated according to the kind of audience that watches a particular program or a channel. This helps in targeting a particular group of audience easily and helps in informing them about the brand efficiently. Around 64% of the users decide to buy a product after they see its video. Brands these days try hard to capture their target audience which is why theatre ads are becoming popular. The ads displayed in a theatre are easy to remember (thanks to the big screen). The impact is great and has the potential to influence the audience greatly. This method of presenting your audience with ads that carry a visual brilliance combined with a lot of creativity is the most basic yet effective form of advertising. This form of commercial advertising is used to promote an upcoming show or a movie on television. Promotions are short videos that are basically of 15-60 seconds. They can be in monologue form with the host of the show or the main lead spills the beans about the upcoming visual thrill and also builds the excitement. The main objective behind promotions is to aware consumers with specific information, to help in identifying and differentiating a product and to increase demand for the same. This method is useful in informing a large number of audience through content that is visually appealing and is easily able to recognize the product. TV commercials are the roots of advertising. Whether you want to launch a new product or a campaign to inform your audience about your brand, use commercials as your transportation. This is the most interactive and appealing form of advertising. Best Video Production Company churns these benefits by using various forms of appeal in producing TV commercials. Emotional appeal, humour appeal, music appeal etc, helps in creating a brand recall among the customers and ultimately benefits the brand. The aim of a Best video production company is to create effective and relatable commercials and present consumers with a fresh perspective. Trailers are known as the commercial advertisement based on a film or a TV series. Made post the shooting of the film or TV series, trailers are usually three minutes long. A trailer contains details about the film or the series and reveals information about it. It is used to entice the audience to see the final masterpiece and enjoy it. It’s all about the presentation when it comes to trailers. If you are able to impress the audience with the trailer then you are good to go. The music used in the trailer also helps in luring the audience. The overall impression of the trailer helps in building interest among the audience. Influencers are mushrooming nowadays because of the right of the internet. Internet celebrities are a thing. Being popular on the internet is cool as these self-made stars present their great content to the world to decide. Their originality and uniqueness is the only quality that takes them ahead in the game of internet. With a success rate that is high and a chance to capture a large number of audiences, existing celebrities are also flocking towards the internet. YouTube is filled with channels of existing celebrities with immense popularity. Vlogging, Video Podcasts also known as a ‘Vodcasts’ and various apps like Dubsmash and Musically are bringing new talent into the spotlight. Eagerly waiting for your favourite YouTube artist to drop another video? The huge fan following of these internet superstars with subscribers who religiously follow them can influence them easily. A loyal digitally present fan base, viral content and amazing presentation attracts more and more viewers. Internet celebrities are huge influencers as their audience is all over the internet. They have huge power digitally, as they can influence thousands of users on social media. According to IAMAI, internet users in urban India who regularly access social media platforms accounts to 66% and 70% of YouTube subscribers are teenagers who follow internet influencers over celebrities. Cross Media is a form of cross-promotion where a film or a brand gets promoted by collaborating with another brand. In simpler terms, if a new film collaborates with a brand to promote the film and also that brand then it would be termed as a cross-promotion. It involves the use of different media and the qualities that these mediums carry. Cross-media is considered to be an efficient way to increase brand awareness and inform more and more audiences about it. ‘Just one more video’ is how we trick ourselves into binge watching videos on YouTube and on other apps. Those professional videos that we drool over are made by a Best video production company who work hard to make the content appealing and presentable. Various artists working digitally especially YouTubers hire a creative team that assist them in creating viral content. The content that these YouTubers post is not just entertaining and creative but is also highly relatable. As these YouTubers are self-made stars with creative content that is more interactive their audience feels they are talking to them directly. Vlogging is another form where the way these YouTubers interact with their viewers and in their personal space is more involving and the viewer feels a personal connection. Digital marketing is advertising with the help of digital media like social media, search engines, emails, apps, and websites. Using other platforms to market your product to your target audience means connecting with them at the right time! Digital marketing gives you the liberty to connect with them where they already are spending most of their time. Video Production Company strives to create videos that are visually appealing and are in sync with the digital trends. Want to derive detailed information or a specific kind of information about something? Well, online videos are here to help you. The Internet is flooded with videos that talk start with ‘How to’. Educate yourself in the most detailed way possible. A recipe that you want or a dance routine that you can’t do properly or the features of the latest gadget! Everything is just a search away. Video production company presents this detailed research in the most engaging and interesting manner. This annotation feature by YouTube is being used by video production company. Annotation videos increase the value of the videos. A YouTuber can add their previous videos as annotations on the current video and can guide more viewers on their other videos. This obviously helps in getting more views, increase engagement and a constant connection through the clickable video embedded in the videos. ChuChu TV, an animated YouTube channel, has the highest amount of subscribers in India with 3.34 million views. Animated videos are highly popular among kids. These eye-catchy and attention grabbing videos have the power are very easy to understand. Animated videos are highly appealing and can make a complex subject easy and interesting to understand. Such videos allow you to include various colour schemes, brand logos. The appeal of animated videos is such that even charts and graphs can be explained easily. As videos are a huge trend and animation is highly attractive the combination of these two can create wonders for your brand. 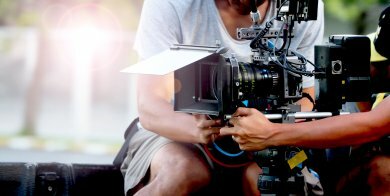 Video Production Company may provide funds for producing the video or may take assistance from an investor, partner or parent company. The responsibility to take care of scheduling, scripting, budgeting, production, post-production is done by a video production company in India. The rise of video streaming has actually led to a decrease in the number of viewers for television. Companies like Amazon and Netflix are causing this. They channel the viewers away from the traditional media and make them more inclined towards video streaming content. 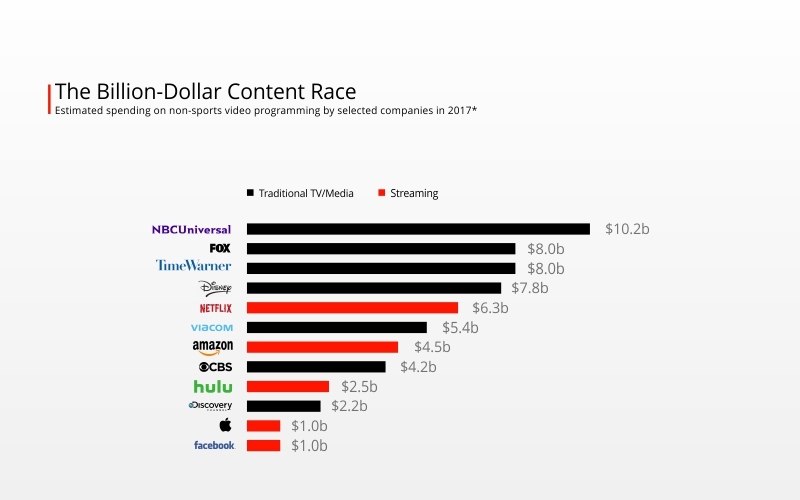 As per the research done by analyst Michael Nathanson reported by Recode talked about the spending on video production by Netflix, It turns out that Netflix’s spending was close to what Disney, Fox and Time Warner has spent. This wave of video streaming is really catching up among the audiences. It is revealed that Netflix users in India binge-watch TV shows more (3 days) than the rest of the world (global average being four). Also, Indians are ranked second in the world for binge-watching shows in public as Mexico tops the list. According to the stats for the year 2016, YouTube has more than 60 million users who reside in India. It has been observed that these users spend 48 hours a month watching these videos. The younger generation is the main reason why such companies are spending huge amounts. Active use of digital media is causing these companies to make their digital game strong especially through videos. The magic created on screen with various types of videos garners a lot of attention from its target customers. A better use of the latest trends that involves Vlogs, Q/A, Live videos helps in grabbing a lot of attention from the customers. Growing more followers means more popular on social media. Your budget to make a video depends upon the different elements used to combine that video. All the components that help in creating a decent video should be under your budget. The light, high-quality cameras, better sound quality, people facing the camera and even the voice-over artist all contribute to the cost. All these factors are considered by the Best video production company in India in order to yield the desired results. Namesake Productions being one of the best video production company in India creates videos that have the power to capture, attract the end customer, and create a unique brand recall.